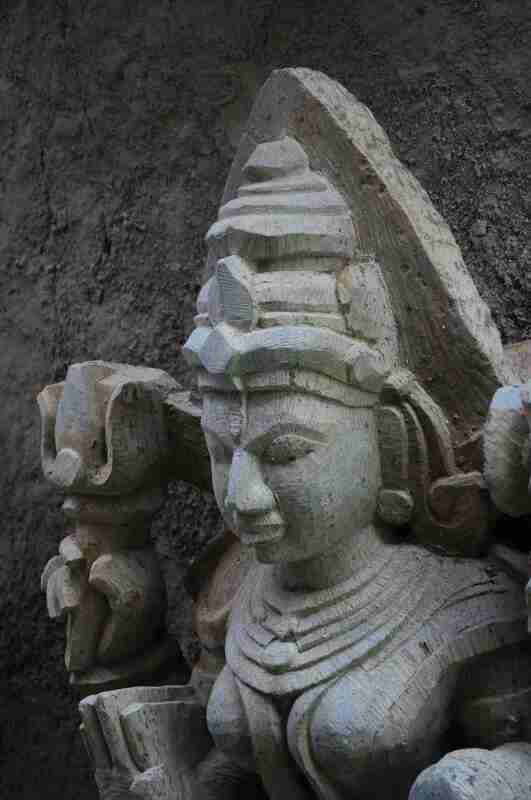 You have already seen the beautiful stone sculpture in my balcony garden. Here is the post on where I found it. When we finally managed to drive out of Bangalore (which seemed almost endless) and left behind the huge building complexes, my friend Mandy and I were glad to take in some fresh country air. The highway was a pleasure to drive on, with picturesque and almost uninhabited surroundings for our eyes to feast on. Some really good 90’s music (loads of nostalgic thoughts in the process) and we were well on our way to Shivarapatna. All that we knew about the place was that it was in Kolar district! We reached Kolar and figured that we had crossed the village atleast an hour earlier and had to head back the same way. So we took a detour (again a vague direction following instructions given by the village folk, who measured distance by the time it took them the last time they visited that place!) 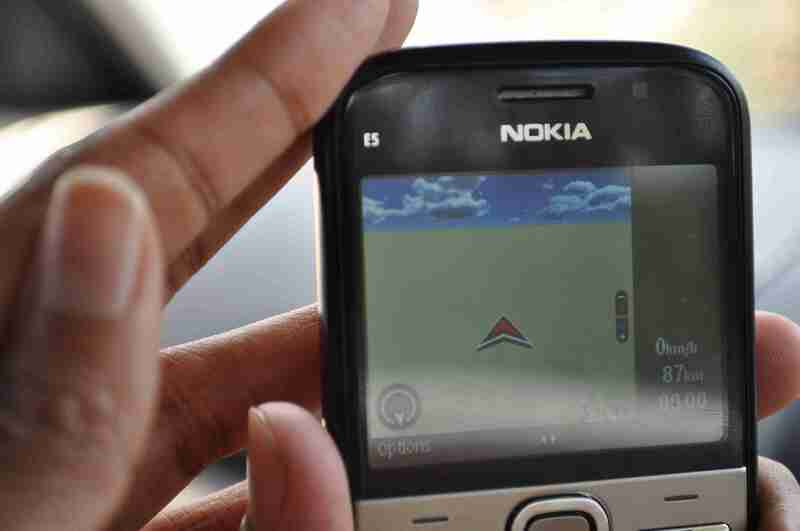 and we trying Nokia maps to figure out the direction. Thats when we realized that as far as the maps were concerned, we were non-existent! 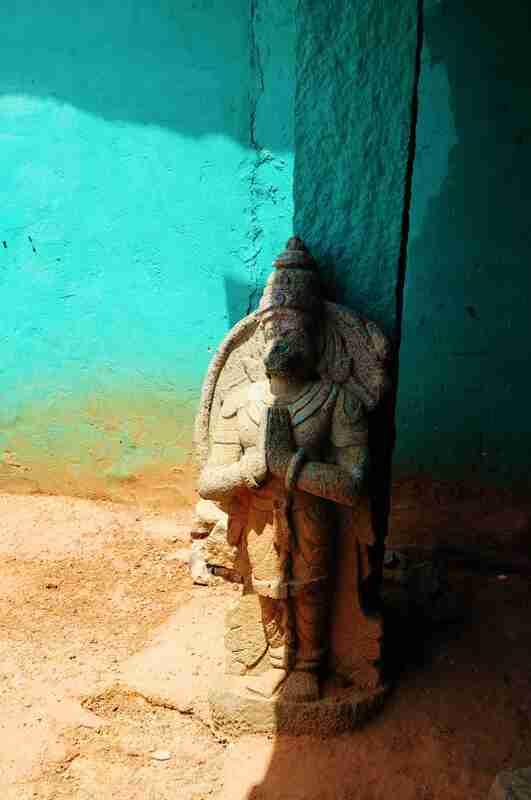 Shivarapatna was hardly made up of a couple of rows of houses, all of which were busy with activity. 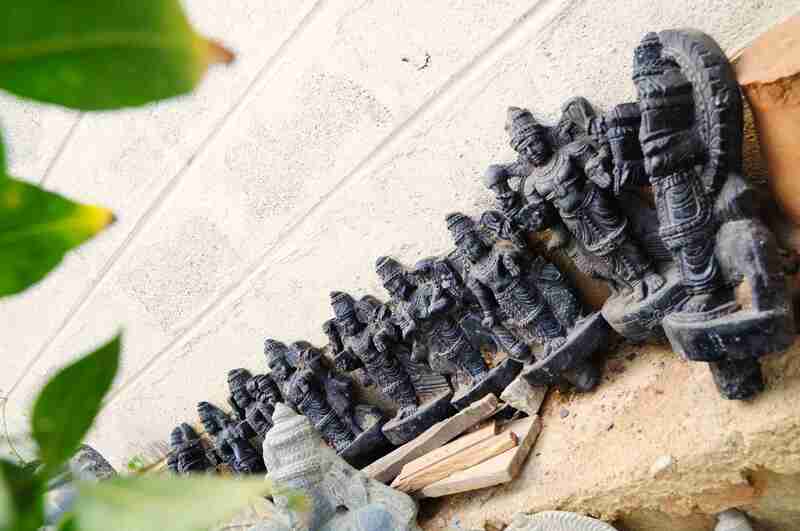 Statues were strewn around in all stages of work. The workshops (like the one shown above) were full of statues ready to be shipped to the US. 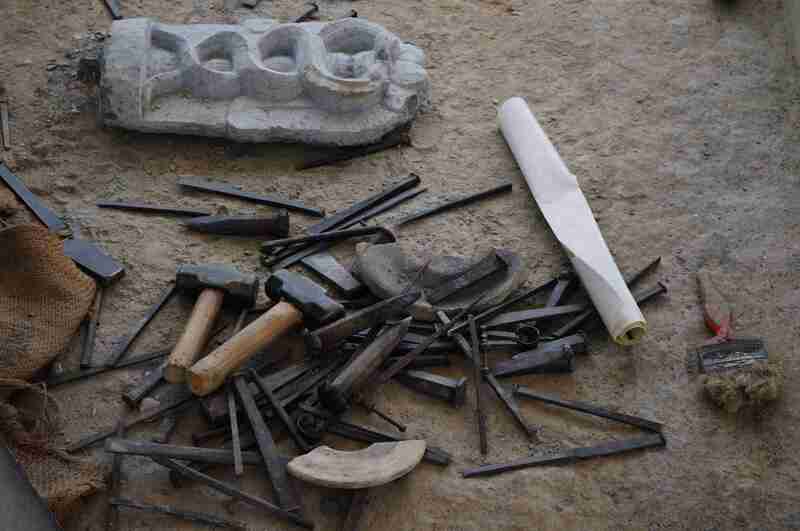 The craftsmen were all immersed in their work using simple tools, sometimes even oblivious of our presence. Some of them were working under the shade of a bamboo structure, an interestingly ‘green’ feature. My friend helped me with Kannada translations and we slowly started getting an idea of the work. 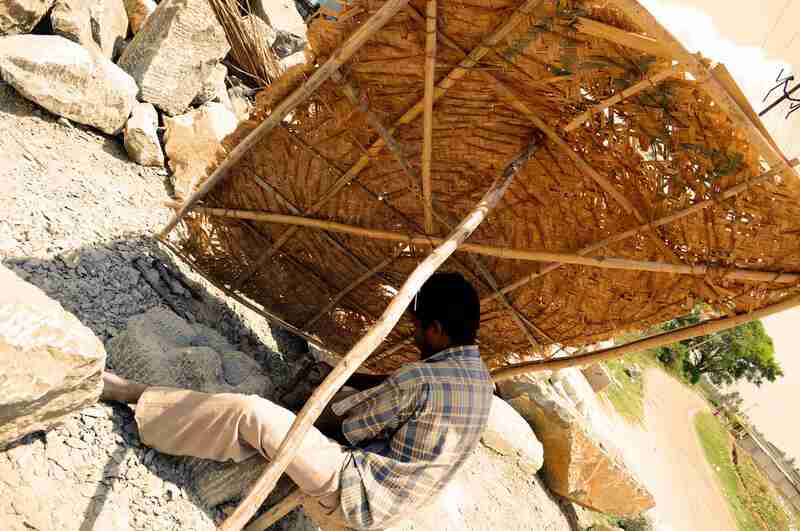 This craft has been practiced for generations, the raw material (stone) coming from nearby areas of HD Kote and Mysore. 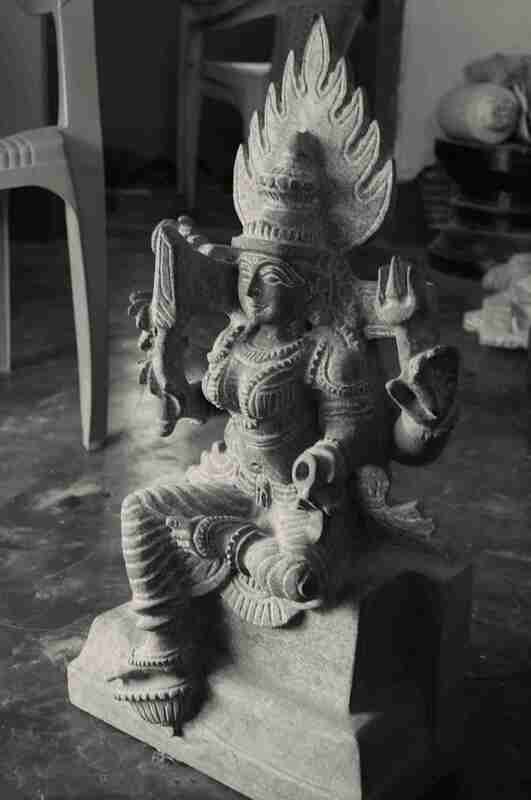 Granite and soapstone are the two common stones used for sculptures. 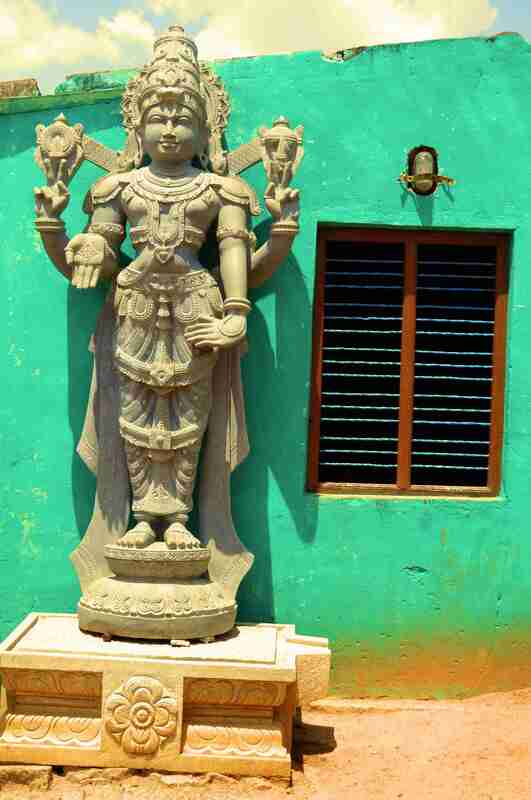 Navagrahas, the nine planetary gods in Hindu religion are made here. 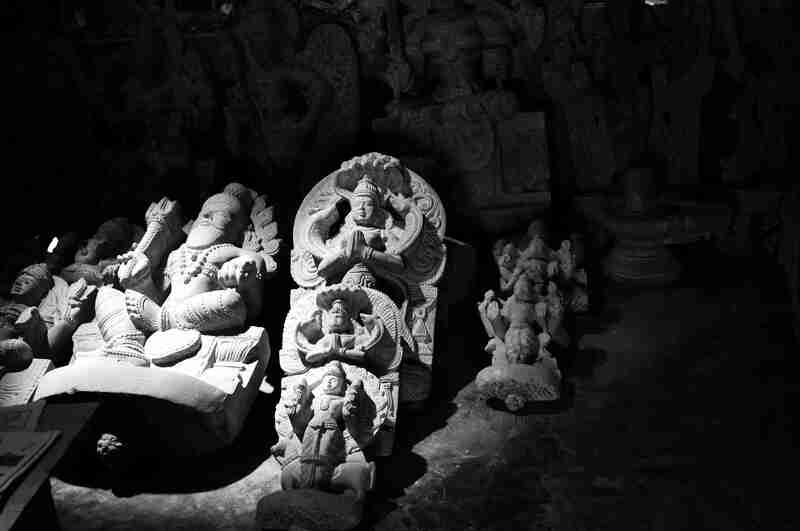 These sculptures are used in temples across South India. 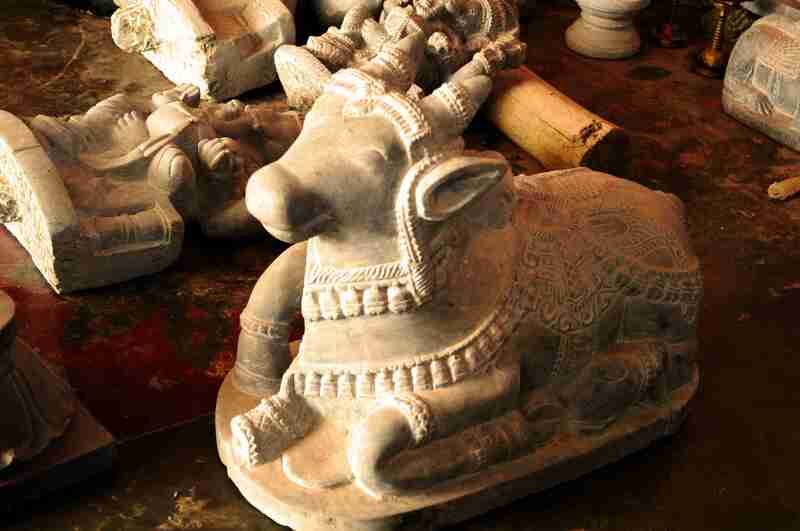 Nandi, Lord Shiva’s bull, a representation of Dharma. The tallest structure that we saw in the village. 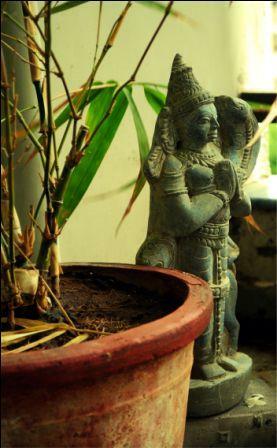 Goddess Lakshmi, a symbol of wealth. Hanuman, a devotee of Lord Rama. If you are planning to drive there this weekend, you can contact me for directions!